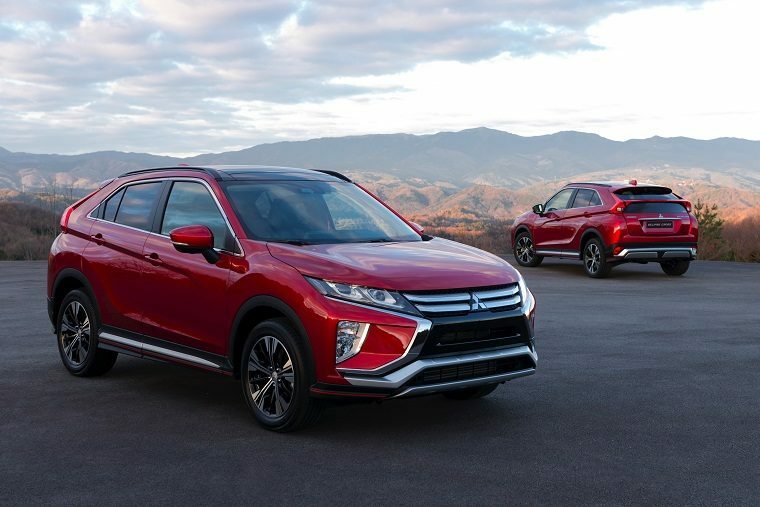 The all-new 2018 Mitsubishi Eclipse Cross makes it international premiere at the 2017 Geneva Motor Show next week, but Mitsubishi apparently couldn’t wait that long to reveal what it would look like. As crossovers go, the Eclipse Cross is certainly not unattractive (though we still wish it weren’t named after the discontinued sports coupe). As had been announced, it looks a fair bit like the XR-PHEV Concept the automaker had already shown off at various auto shows around the world, complete with the “Dynamic Shield” design, aggressively stretched headlights, and sloped roofline. In fact, we’d go so far as to say that unlike most vehicles, the production version actually looks better than its concept counterpart. Some of the features inside are also of interest, such as an infotainment system with a tablet-like touchscreen, a Smartphone Link Display Audio system with Apple CarPlay support, and a head-up display. It also sports a nifty center console-mounted touchpad controller that can be used to access your smartphone. Under the hood is a 1.5-liter direct-injected turbocharged four-cylinder paired with a CVT that also comes with an eight-speed manual Sport Mode. A 2.2-liter diesel is also available. The crossover will be positioned between the Outlander and Outlander Sport in the automaker’s lineup, and will be rolled out to North America and other regions after it has first shipped to Europe. For all the details, make sure to check out the official press release linked below.